We have featured a number of different battery backup devices for the iPhone here at Geeky Gadgets, and whilst you wont need to use one as much with the iPhone 4 as you did with the 3G and 3GS, heavy users of the iPhone 4 will still need to use one. One of my favourite cases for the 3G and the 3Gs was the Mophie Juice Pack Air, good news as Mophie have just launched a new version of the Juice Pack Air for the iPhone 4. The new Mophie Juice Pack Air for the iPhone 4 features a 1500mAh battery that is designed to give you up to 270 hours of standby time, up to 6 hours of talk time over 3G and 12 hours over 2G. You will also get up to 5 hours if browsing over 3G and up to 9 hours over WiFi, audio is up to 36 hours and video is up to 9 hours. 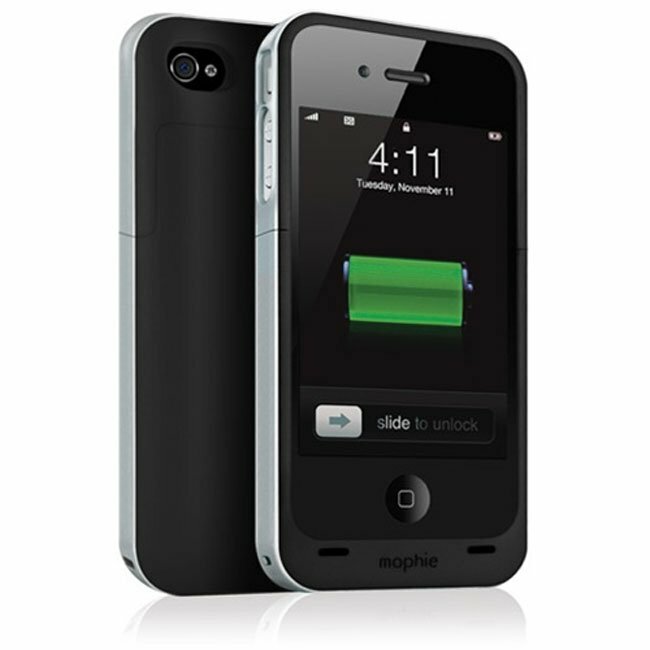 If you want one, the Mophie Juice Pack Air for the iPhone 4 is now available for $79.95 from Mophie. Have a look at our article on the difference between the iPhone 4 and iPhone 4S.